GoPro is to action cams what the iPad is to tablets and Google Glass to ideas that never caught on. Not only did GoPro practically invent the sector, it has dominated it since day one. 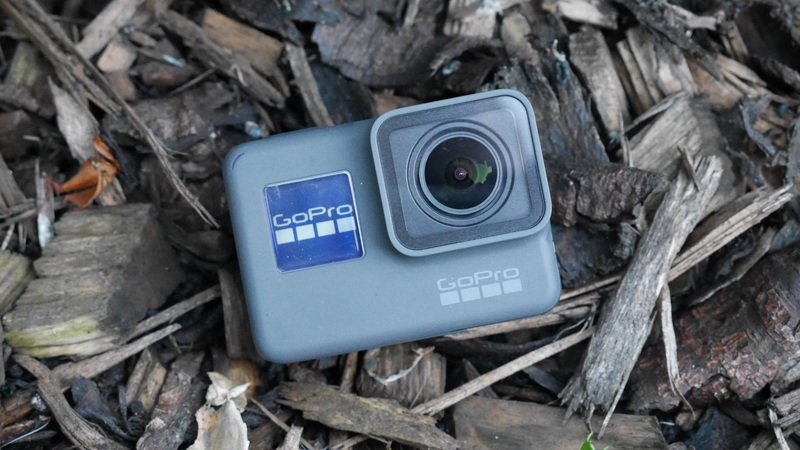 Since the GoPro Hero4+ launched a couple of years ago though, the company has faced falling sales and renewed competition, with the likes of the TomTom Bandit and Drift Stealth 2 bringing the fight to the action cam specialist. The new Hero5 Black is GoPro's comeback charge. It's a camera that builds on the firm's strong foundations with all the additional features users have been calling out for. From integrated GPS to inbuilt video stabilisation and the arrival of a 2-inch touch screen display, this rugged 4K action cam is all change. Is this enough to get you upgrading though? We put it to the test to find out. The Hero5 Black isn't much of a looker. Its matchbox style design is squat, square and has a slightly ugly protrusion. With the only splash of colour on its dull black and grey body being the red circled shutter button, it's also a bit boring. None of this matters though. Aesthetics aside, it's an uncompromising design win. Firstly, the need for those clunky transparent housings is gone. The GoPro Hero5 Black is waterproof as is, no add-ons necessary. This compact, uncluttered design can be submerged to 10 metres, fresh or salt water, without trouble. Both the battery and SD card housing slots also feature waterproof rubberised seals without being a fiddly annoyance to open. As well as being waterproof, the camera's rough, tough plastic body with a rugged, grippy rubber finish is seriously robust. During our time with the camera, it got splattered with mud, dunked in the sea, dropped, knocked and banged, and after a quick wipe down always came out looking like new. It's a design that attunes itself to the situation too. It's been up a mountain, down to the beach, through one of the busiest cities in the world and always been in its element. Thanks to its small, undaunting design, it's accessible to all and at home whether you're throwing yourself off a cliff or simply enjoying the view from the top of a skyscraper. Despite this small, pocketable form factor, the camera feels strong and sturdy, and its grippy finish means it's manageable whether your fingers are freezing on the side of a ski slope (or, in our case, on a Scottish hill in December), while wearing a pair of gloves or just chilling in the pool. There is a slight catch though. If you actually want to mount the camera to anything, you'll still need to put it into the accompanying housing. This plastic framework adds a bit of bulk but still keeps the camera small enough to slot into your pocket. It also adds the key mounting fixture to the base and is compatible with all manner of additional mounts and accessories. Unlike the TomTom Bandit, there's no quick-release clip mount here. Instead, the Hero5 Black continues with GoPro's trademark twisting key connections. It's a little bit fiddly, especially if your fingers are cold and wet, but it's secure, and when you're being active, that's key. Another element of the GoPro Hero5 Black's design is one of its biggest new features - the 2-inch touchscreen display that sits on the rear. This isn't the first GoPro to have a touchscreen, but this one's a little more useful thanks the lack of need of a waterproof housing. Bright, vibrant and responsive, it makes the camera as easy to use as a smartphone. Settings are now scrollable and clickable rather than requiring you to endure endless button presses to navigate your way through a list of shooting options. Big, bold menu options make the camera a joy to use and the screen has the added benefit of letting you instantly view and edit your recently captured footage wherever you are, directly on the camera itself. You'll have to watch the battery life, mind you. Enjoying on the fly playback is a bit of a drain and battery life isn't the camera's strongest feature. You'll get around 1.5 hours between charges while filming. Add 4K and GPS to the mix that and that time quickly tumbles. When you're stuck in the middle of the wilderness that's not very long. Although spare batteries are available, the camera's not compatible with the power units from past GoPros, bad news for existing owners looking to upgrade. Still, this touchscreen isn't the only way the Hero5 Black improves its capture options. Camera out of reach? Don't worry, you can now talk to it too. Just like Siri on the Apple Watch Series 2 or Alexa within the Amazon Echo, the Hero5 Black offers impressive voice-recognising technology. Say "GoPro, take a photo," or "GoPro, start recording" and it'll do just that. You can even ask it to drop in highlight tags for easier editing. It works well too, although if you're out in the wind, hearing the beeps that signify an accepted request can be difficult. For those instances, there's another solution. You can seamlessly sync up the camera to your smartphone using the free to download GoPro Capture app. Connecting via a WiFi signal produced by the camera, the app transforms your phone into a live viewer, letting you see through the eye of the camera lens in real time. On-screen controls also let you capture stills or videos without touching the GoPro itself plus you can alter all the capture mode settings direct from the app. This is perfect for when the camera's inbuilt screen is out of reach such as when it's attached to a helmet mount or on the end of a selfie stick. On the camera itself, things are kept clean and uncluttered, with just two physical buttons. If your recording just can't wait, tapping the top-mounted shutter button will launch the camera and start recording instantly. Happy to take your time? Hitting the mode button on the side will turn the camera on with further presses cycling through its multiple shooting options including burst mode and timelapse. Once recorded, all content can be auto-synced with the cloud, but you'll need to pay $5 a month to join GoPro's subscription service for this honour. OK, this is the bit that really matters. Fortunately, with the Hero5 Black, GoPro has absolutely nailed it. Video quality isn't just good, it's stunning. The headline grabber here is the ability to shot 4K footage at a pleasingly smooth 30 frames-per second. With rival cameras like the Bandit only capable of capturing 4K footage at 15fps, this gives the Hero5 Black the edge. It's not just the resolution that's impressive though, it's the whole picture. The wide angle lens offers a sweeping field of view creating broad, impactful shots. Thanks to a new image sensor, colours are also more lifelike than on past models. There's clear definition and subtlety to tones with stormy skies and areas of light and shade really popping. Break the camera out at night or indoors under harsh artificial lighting, and the impressive quality continues. You do lose some of the sharpness - this is a camera for outdoor play time - but footage is still sharp, vibrant and sharable. This is a camera about more than just its 4K party piece too. With few able to make use of 4K playback, all the usual 1080p Full HD shooting modes are also there. These actually offer more freedom and a broader choice of shooting options. If you want impactful, slow motion footage, you can drop the resolution and increase the frame rate up to a massive 240fps using the touchscreen. It's not ideal for every shooting situation, but for that one time stunt it can transform stunning footage into a truly epic sharable clip. Shooting below 4K has another benefit: video stabilisation. A long called for addition, it's finally arrived and is pleasingly effective. Having strapped the camera to both a dog at the beach and ourselves while trampolining, the resulting footage is surprisingly smooth. The camera will still rock and rattle about, but overall footage is more fluid than on past models. Unfortunately, like shooting over 30fps, it's not 4K friendly. It's not just the visuals that give the Hero5 Black the video capturing edge either. Compared with past GoPros, sound quality has been boosted too. Stereo microphones give more direction to the captured sound, with the camera able to automatically switch between audio capture options to help reduce wind noise. This is great when filming while on a bike or running. Without the need for those old polycarbonate housings, sound's also a lot cleaner and crisper than on past models. Building on impressive video skills, the Hero5 Black's image game is strong too. Capable of capturing 12-megapixel stills, results are bright, vibrant and engaging. Putting that smartphone in your pocket to shame, the big, high-quality lens and powerful sensor combine to create crisp, powerful shots. There's a beautiful natural gradient and warmth to colours and, like with the camera's video skills, a stunning level of depth with blacks deep and immersive and colours sharp and bright. For those who want maximum editing options, you can now also shoot RAW images. Yes, when the lights drop, so too does image quality, but it's not terrible, far from it. Images don't quite have the same level of depth and detail as when the sun's out or the lights are up, but they're still decent. There's not just one way to capture images either, but three. As well as being able to capture single images, there are burst and time lapse modes available too. Burst mode is the star of the show here and can often capture more impactful footage than a traditional video if you're performing a certain stunt. Using the camera at a trampoline park, we found burst mode capable of capturing multiple engaging stills in quick succession whereas video of similar actions could be a bit shaky and less engaging. The GoPro Hero5 Black isn't just the best GoPro ever made, it's the best action cam ever. Period. It's a no compromise device that has built on already best-in-class foundations with a mass of new features which transform a great camera into an unbeatable one. Video quality is as close to flawless as we've seen and is enhanced by a variety of shooting options and, for the first time, image stabilisation. It's expensive, yes, but not extortionately so. With a waterproof body, inbuilt GPS, a great touchscreen display and voice control, you certainly get your money's worth. It'd be nice if battery life was stronger, but that's the only slight against what is otherwise an unrivalled wearable camera.